The overall goal of the Zika AIRS project (ZAP) is to reduce the burden of vector-borne diseases by enhancing USAID’s ability to implement mosquito control programs in Latin America and the Caribbean with a focus on the Dominican Republic (DR), El Salvador, Guatemala, Haiti, and Honduras. In October, 2016, ZAP deployed long-term personnel to the five priority countries to carry out a two-year technical support program. ZAP will provide technical expertise in vector control (VC) and entomological monitoring, conduct cost-effective commodity procurement, establish logistics management systems, and engage local communities in affected countries. ZAP provides this support through USAID’s additional funding to the President’s Malaria Initiative Africa Indoor Residual Spraying (PMI AIRS) Project, managed by Abt Associates (Abt). 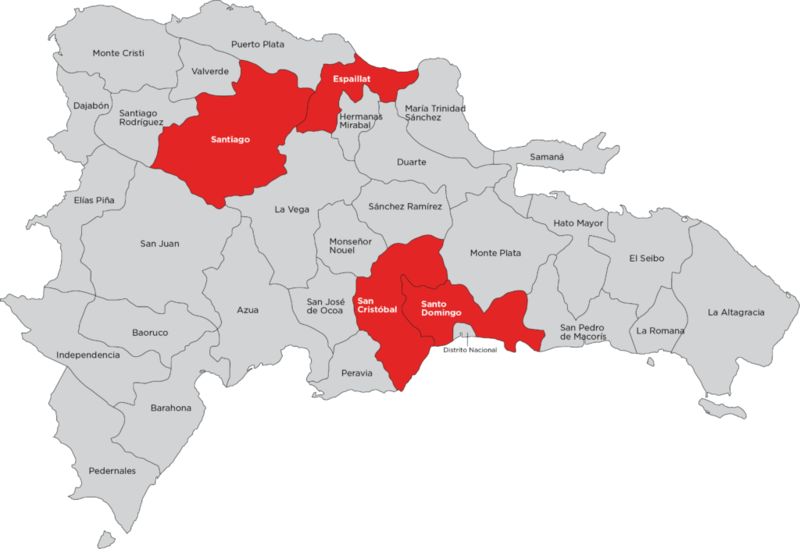 The first cases of Zika in the DR were reported in January 2016 in the capital city of Santo Domingo. By August 31, 2016 all 32 provinces (departments) reported locally transmitted cases. According to official Ministry of Public Health (MOH) reports, there have been a total of 5,212 unconfirmed cases with 948 infections in pregnant women. Also reported were 274 cases of Guillain-Barre syndrome and 10 cases of congenital Zika. Recent statistics show that the cases of unconfirmed Zika have been declining in the DR, a pattern also observed in other countries in the Latin America and Caribbean region. However, the virus still remains a threat. The National Center for Control of Tropical Diseases (CENCET) is the technical unit within the MOH responsible for prevention and control of flavivirus infections and other vector-borne diseases, including Zika. CENCET has led a coordinated response to the epidemic in collaboration with several international and local partners. Entomological surveillance, fumigation, social behavior change communication (SBCC) campaigns, and environmental cleanup campaigns have been implemented in select provinces over the past year to reduce the transmission of the virus. ZAP DR will partner with CENCET and other implementers to jointly respond to the epidemic. This work plan describes project resources and activities that the ZAP DR project will implement between January 2017– December 2017. Support high-quality VC management (including larviciding, environmental cleanup or source reduction, and piloting targeted indoor residual spraying (IRS) to protect at risk populations from the Zika virus. Establish best practices in and conduct entomological monitoring in selected areas (including vector bionomic studies, routine surveillance, data reporting, insecticide resistance policies, and logistics). Ministerio de Salud Pública, Dirección General de Epidemiología, Sistema Nacional de Vigilancia Epidemiológica. 2016. Boletín Epidemiológico Semanal. Semana No. 41.